via Silly Walks Discotheque - Exco Levi is not only a part of the Silly Walks family, he is also Canada’s most popular Reggae artiste who has created waves with hit songs like „Storms of Life“, „Strive ft Kabaka Pyramid“ (both of them Silly Walks productions), „Bleaching Shop“, „Welcome the King“ and „Siren“. Each of them gained him global success in the Reggae circuit and a Juno Award, Canada’s biggest reward for outstanding achievements in the music industry. 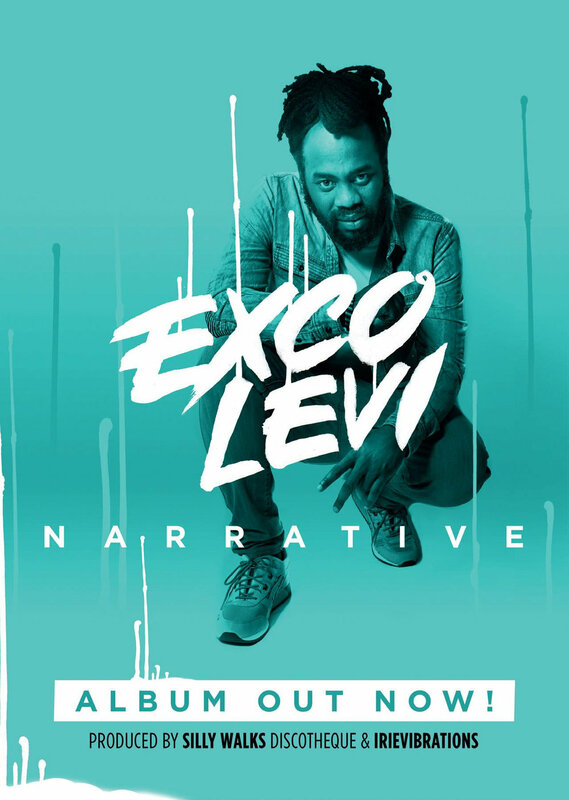 His new album „Narrative“ is a collection of 13 brand new songs mainly produced by Yours truly alongside Vienna’s Irievibrations with contributions by the great Penthouse Records, Josi Coppola and Mike Kfos.